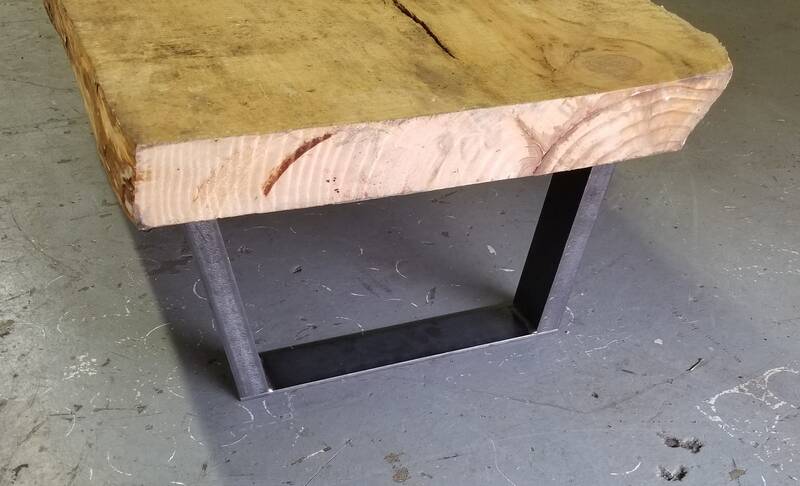 Trapezoid Legs - Narrowing - 1 x 2 Steel Channel- for low tables and cabinets or benches - 4-14 tall. 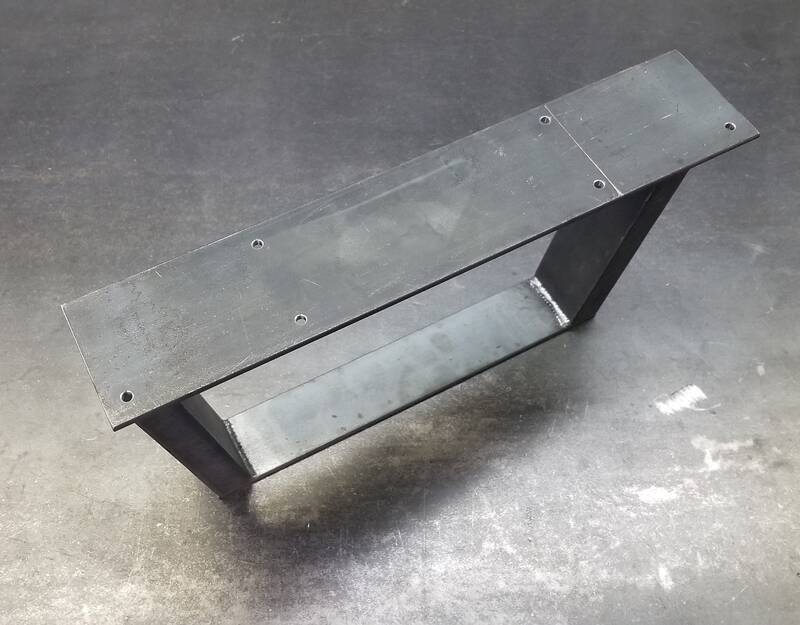 Trapezoid Legs - Narrowing - 1" x 2" Steel Channel- for low tables and cabinets or benches - 4-14" tall. 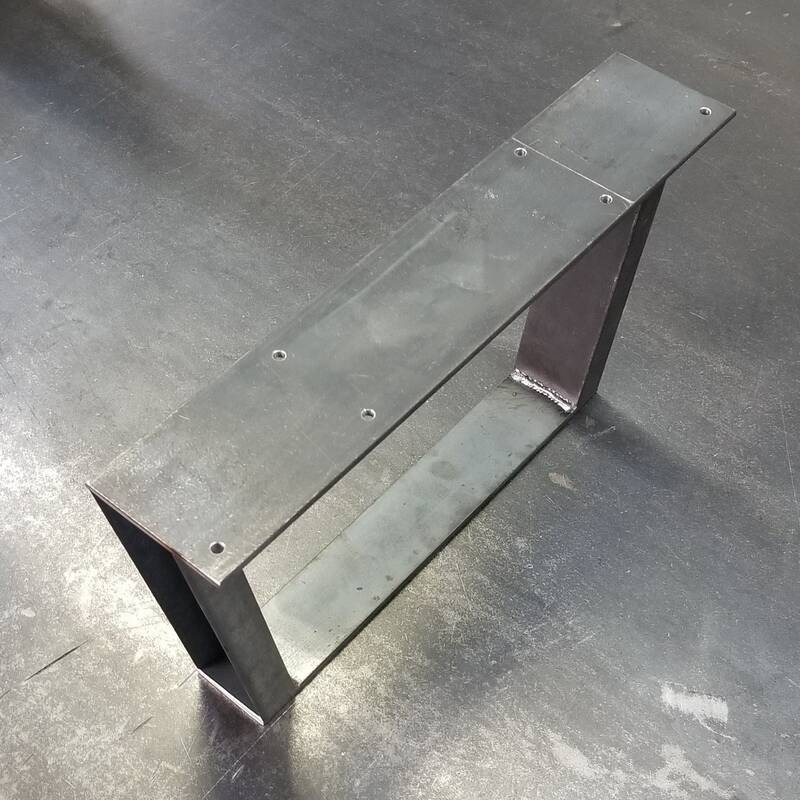 1" x 2" Channel legs, made of hot rolled steel - bottom is 2" flat stock, top is 3" flat stock with 6 holes drilled for screws/bolts. 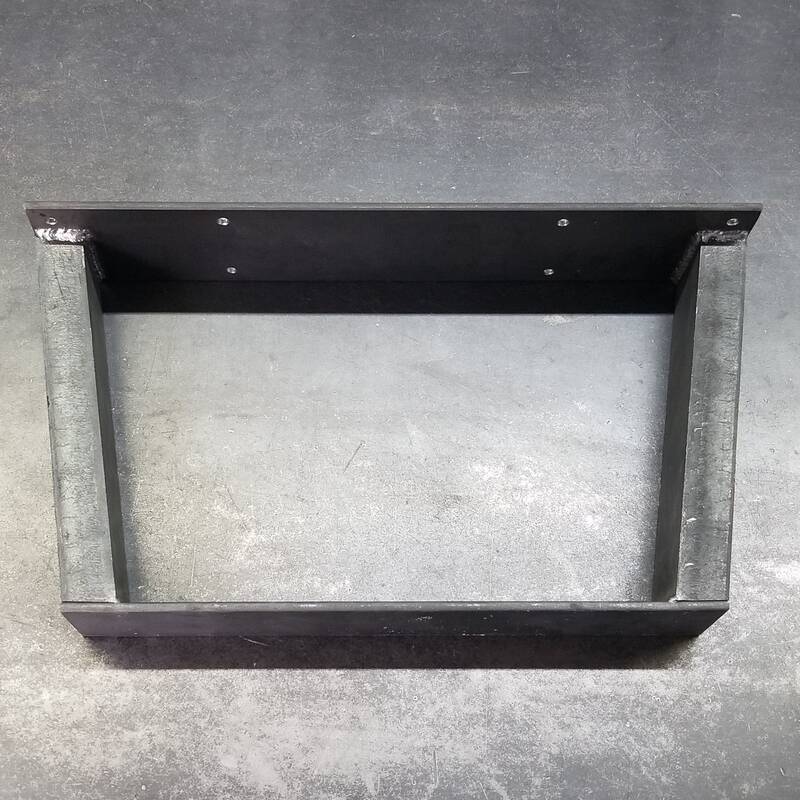 They are available in different heights ranging from 4" to 14"
Pictured is the 8" leg - the top will be 15" wide for all height variations, and the bottom will be approx 12-1/4" wide - the angle of the channel is adjusted to suit the height requested. 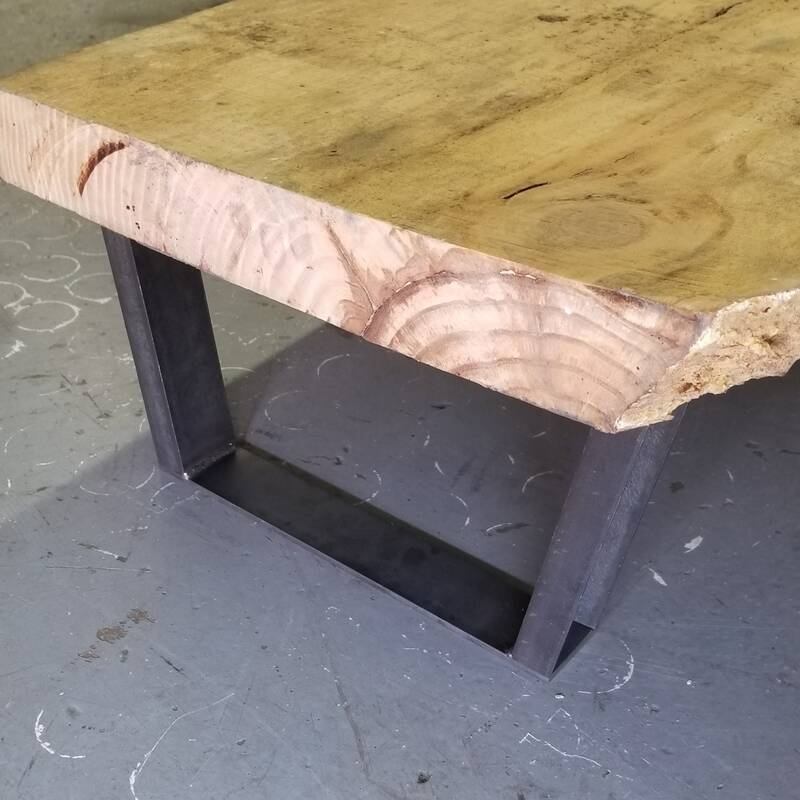 These are best suited to be used in the shorter heights as cabinet legs, but, they can be used for wider benches and such, too.